I've had previous experience with 3D prior to Gameloft though - my first love was Maya back in the early 2k's. It was a steep learning curve back then, but I guess learning the principles and workflows allowed me to make a fast transition to other 3D softwares, including Blender a couple of years ago. With Blender it was an instant LOVE. 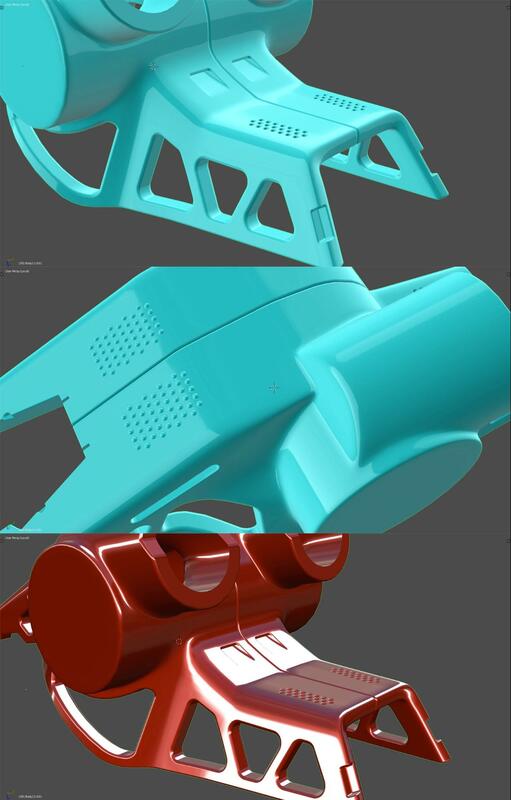 I watched a couple of HardOps and BoxCutter demos by Jerry Perkins (aka masterxeon1001) and I was hooked, THIS was the software that I wanted to do my hard surface designs in, PERIOD! 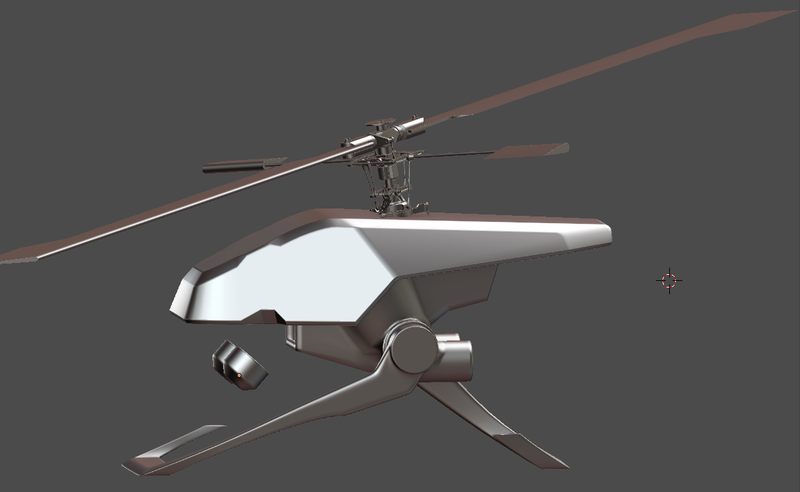 Later I got the addons by Machin3 and some others, and have been expanding my knowledge of Blender ever since. 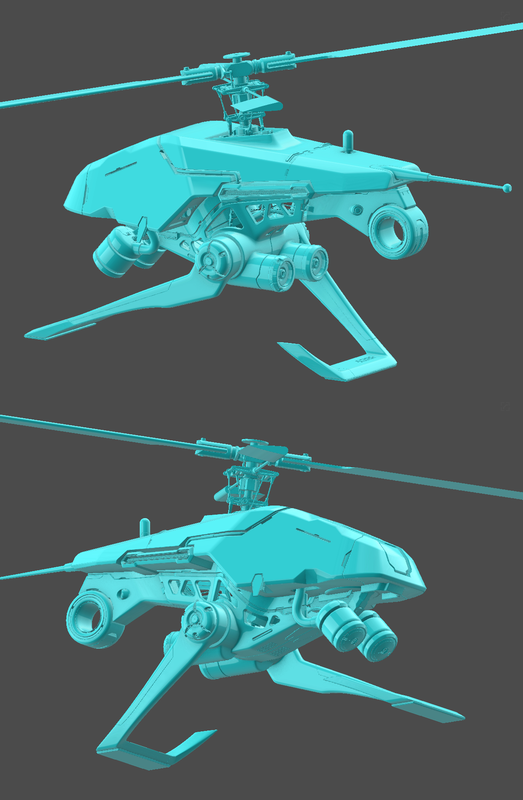 I started the model with a couple of generic silhouette sketches. Unlike my usual work – I did not have a concrete idea of what it was I was going to create. 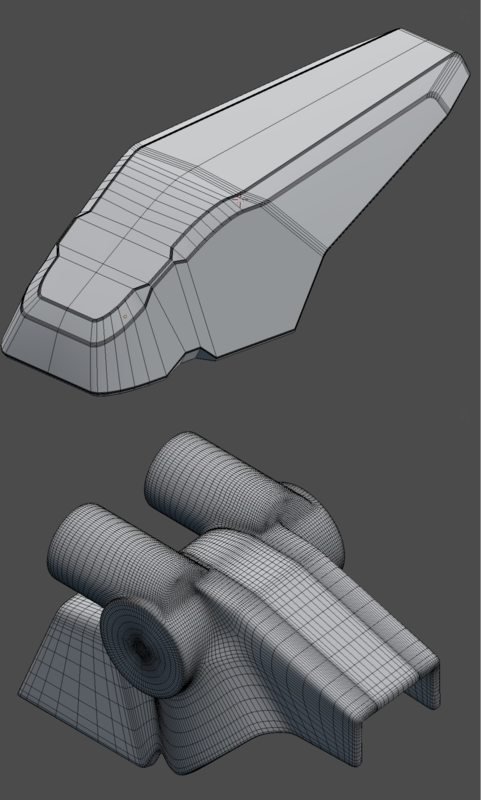 Rather, this being more of a technical exercise, I marked the types of shapes I wanted – one was going to be more angular with large bevels (made using boxCutter and hardOps), the other would be some sort of a flowing complex SubD surface based on intersecting basic primitives. 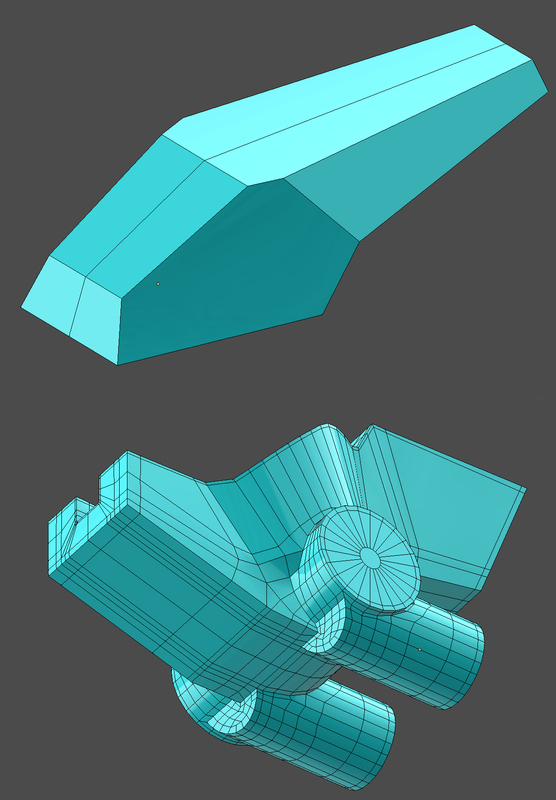 For the angular shape I ended up cutting up a cube with boxCutter, and for the subD shape – I pretty much combined a bunch of cylinders and cubes using the standard allQuad subD workflow. I added and tweaked some extra bevels and chamfers to the first shape and a thickness to the second with the meshMachine. Next I pretty much did the same for the legs, plus I started adding PLUGs. This being a test piece I did not bother making my own plugs and kitbash assets; instead I used what came with the MeshMachine libraries, as well as some kitbash assets by Aidy Burrows and Gleb Alexandrov. 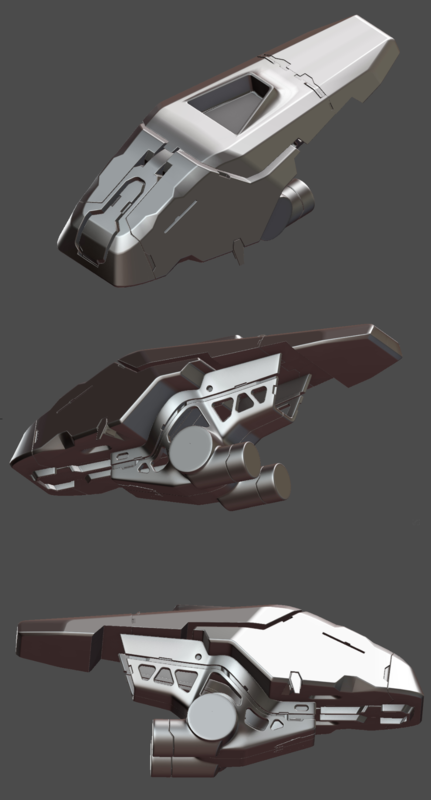 I also used BoxCutter and HardOps for the chassis of the chin mounted AT charges. The shading for the armor was pretty simple. I just used a principled BSDF with a color texture that I painted externally. 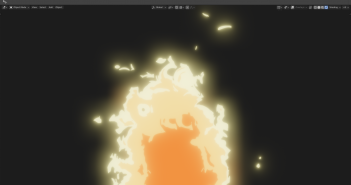 I love that Blender has this option of jumping externally to Photoshop, and then projecting the resulting overpaint back. 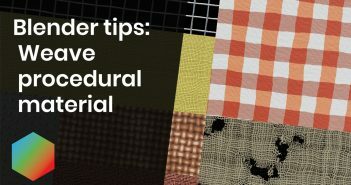 It's a functionality very similar to that of Bodypaint in C4D, and back in the day when I was using it I just loved it. Being able to utilize all of my custom drawing brushes, doing halftone patterns and other effects is great, for certain tasks nothing beats Photoshop. Otherwise, I applied decals from DecalMachine to add some text and info designations to the design. The heat-blued effect on the exhaust was pretty simple. 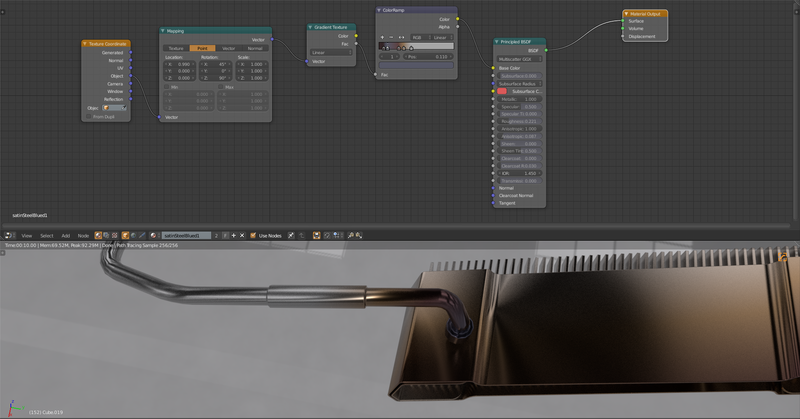 At this point I was getting lazy, and I would not bother with UVs and such, so I just used the object coordinate to position a gradient texture over the end of the tube. 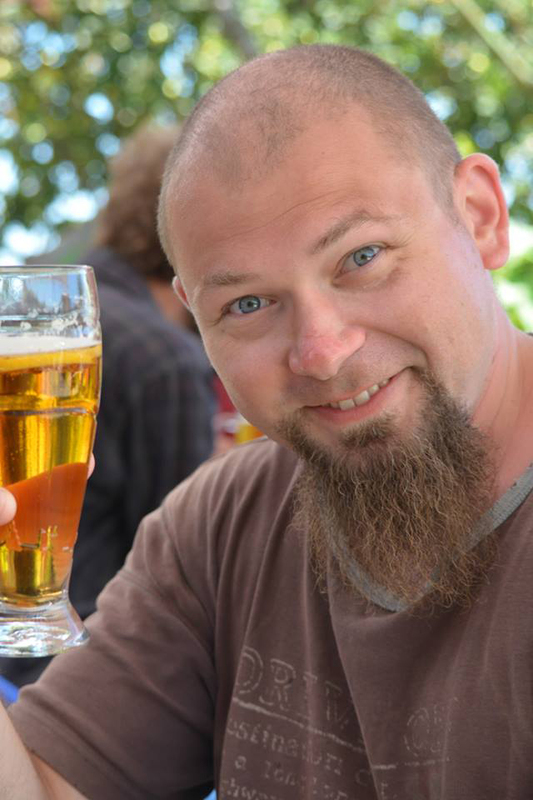 Thanks for the great write up on your workflow. 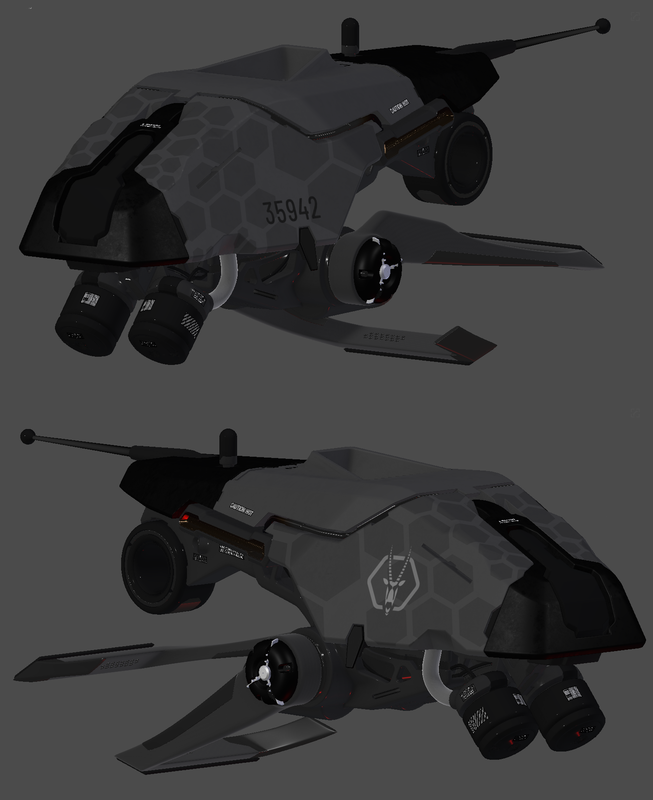 Really like the drone design. Kudos!